If you’re someone who knows anything about anything, then surely you know that foraging is the new supermarket shopping, no?! In the last year, more and more people have been swapping trollies and supermarket shelves, for parks, hedgerows and common land. Apart from the fact it’s free – the brilliant thing about foraging is you get a fantastic array of beautiful British produce. 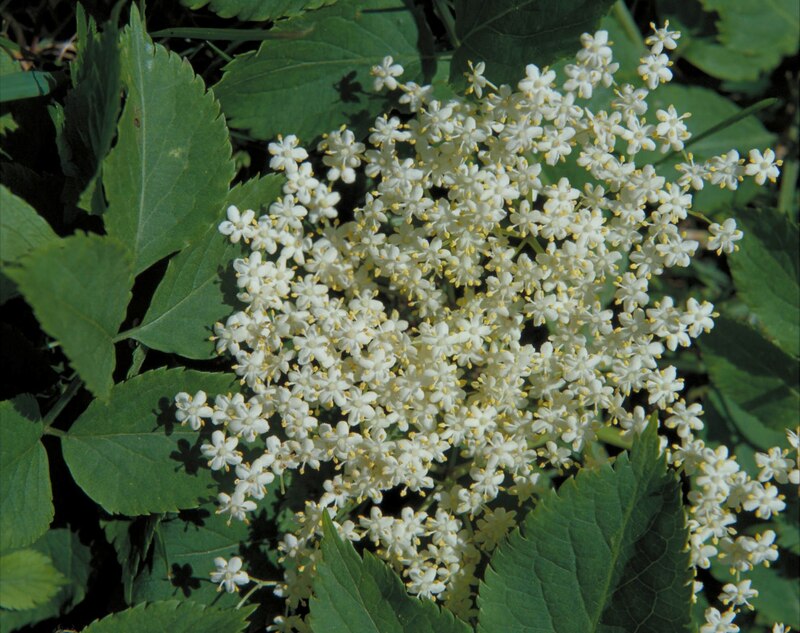 One such beautiful British plant is the elderflower, which has delicate pale flowers in spring/summer and dark, rich berries in autumn (which you can use for making wine). Elderflower cordial costs a fortune in the shops, but if you can find some elderflowers locally, you can make your own for pennies. What you are looking for: Elderflowers can typically be found in hedgerows, woods, roadsides, parks, sides of rivers and canals. The best thing for you to do is go for a walk or a bike ride through the countryside and hunt for them yourself. They are easy to spot too. The bushes can vary in height from 5ft to 30ft but size doesn’t matter, it’s just the flowers that you'll need. These are concentrated big fluffy bunches of small white flowers that have a yellow pollen – picking the flowers can get messy with the pollen so make sure you wear old clothes. What to do with them: 1. Put 2.5kg of white caster sugar and 1.5 litres/2¾ pints water into the largest saucepan you have. Gently heat, without boiling, until the sugar has dissolved. Give it a stir every now and again. Pare the zest from the lemons using a potato peeler, then slice the lemons into rounds. 2. Once the sugar has dissolved, bring the pan of syrup to the boil, then turn off the heat. Fill a washing up bowl with cold water. You will need about 20 heads of elderflower - give the flowers a gentle swish around to loosen any dirt or bugs. Lift flowers out, gently shake and transfer to the syrup along with the lemons, zest and citric acid, then stir well. Cover the pan and leave to infuse for 24 hrs. 3. Line a colander with a clean tea towel, then sit it over a large bowl or pan. Ladle in the syrup – let it drip slowly through. Discard the bits left in the towel. Use a funnel and a ladle to fill sterilised bottles. The cordial is ready to drink straight away and will keep in the fridge for up to 6 weeks. Or freeze it in plastic containers or ice cube trays and defrost as needed.